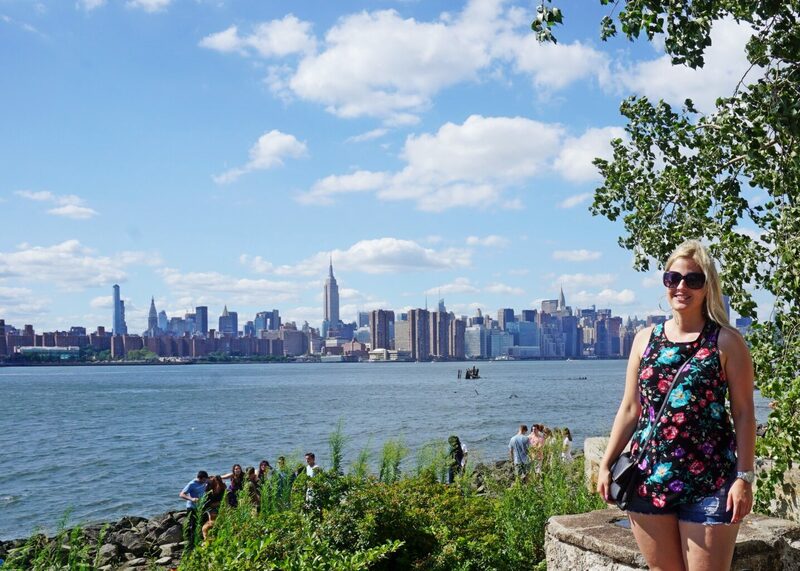 If you follow me on Twitter or Instagram, you’ll know that I’m visiting New York for the weekend! I came here to visit my cousin since she moved here for the summer and it was the perfect time for me to visit. 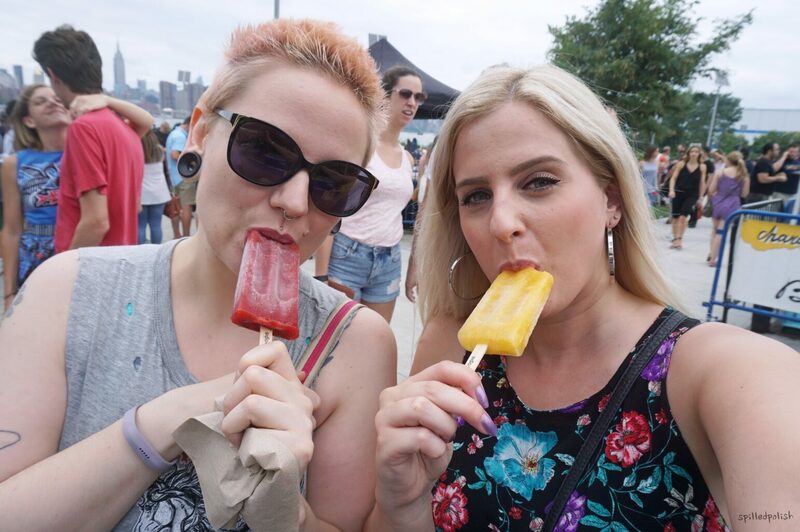 Before coming, she told me about a food market they have every Saturday called Smorgasburg. 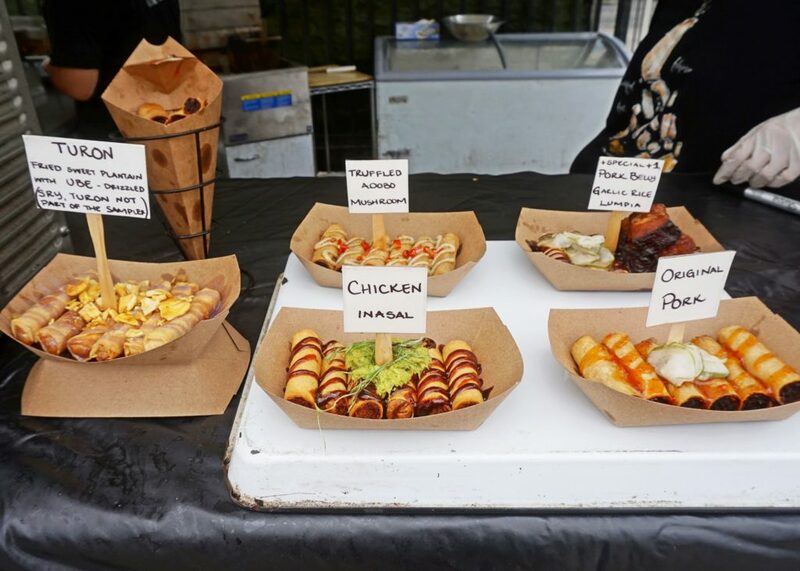 Smorgsasburg is the largest weekly open-air food market in America! It’s open every Saturday in Williamsburg, Brooklyn and every Sunday in Prospect Park, Brooklyn from April to November. I spent a good couple of hours here just taking in the beautiful weather, amazing food, and great atmosphere. There were SO many vendors that I had to walk around the entire market before picking out what I wanted to eat. There was honestly every type of food to choose from: Filipino (Lumpia), Italian (Pasta, Lasagna), Mexican (Tacos), Jamaican (Beef Patties, Jerk Chicken), American (Burgers), etc. I could not decide on anything, so me and my cousin picked up a couple of things and shared it! 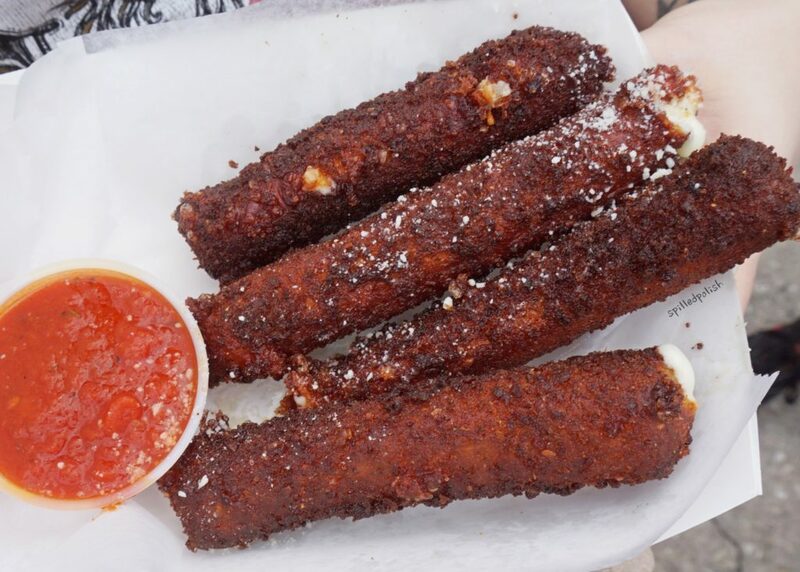 I’m not usually one to want Mozzarella Sticks, but when I looked up Smorgasburg on Twitter I saw a picture of these and had to get them! Honestly.. they were the BEST Mozzarella sticks I’ve ever had. They were giant mozzarella sticks breaded with garlic, parsley, & Pecorino Romano. These were sooo good.. the Pecorino Romano sprinkled on top gave it the extra bit of salt that it needed as well. If you love cheese… you’ll LOVE these! I also found a Filipino stand called Lumpia Shack selling Lumpia. They had a ton of different options, but I chose the one on the top right – their special: Garlic Rice Lumpia and Pork Belly. The pork belly was so soft and tasty, but the Lumpia itself was bland. I wish I could’ve just got the original pork, but the pork belly looked SO good. I definitely chose this based on looks haha. We passed by this booth from a place called Raclette. They specialize in sandwiches covered in cheese! 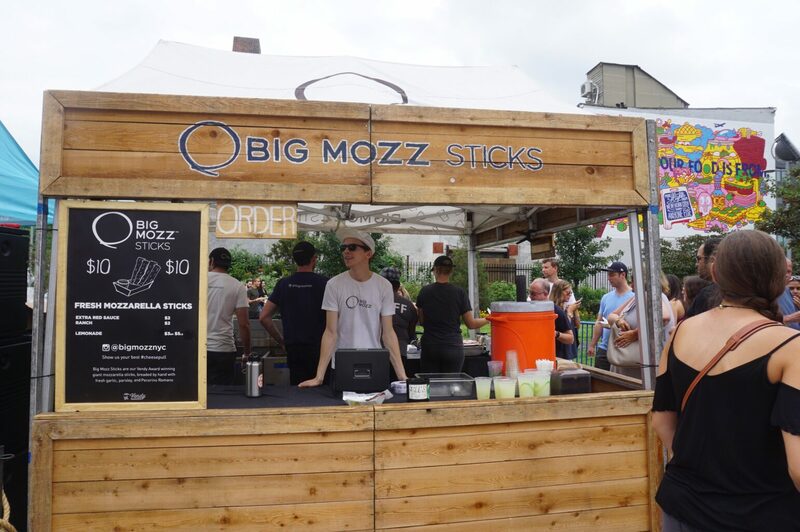 I have never heard of these types of sandwiches but it was such a huge hit at Smorgasburg. 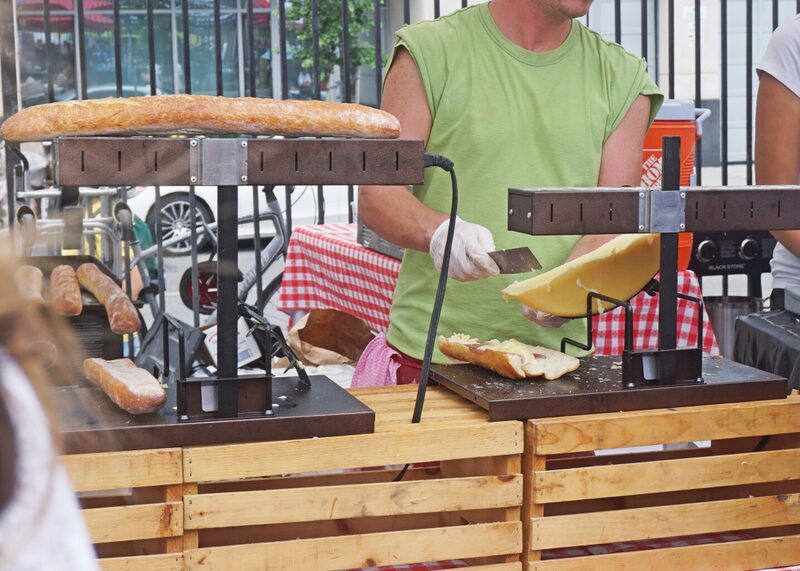 They had huge blocks of cheese under a heat lamp that would melt the top layer, that they end up scraping onto a long baguette. They had different toppings as well that went into the sandwiches such as ham, onions and other veggies. I didn’t end up getting one, but it looked really good! A very popular place as well was Duck Season. I’m not a huge fan of duck, but everything they had looked delicious! 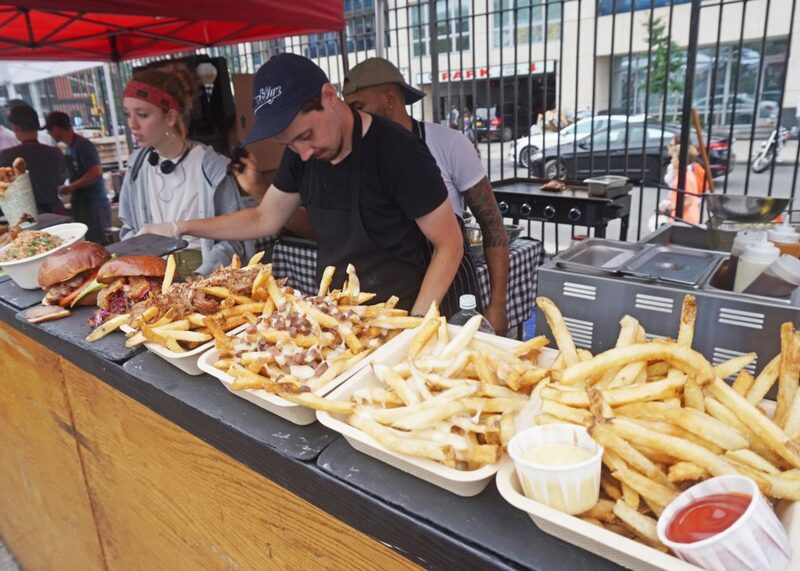 Duck fat fries, duck bacon, duck poutine, duck sandwiches.. Okay, now that I’m typing this I kind of wished I had gotten something. UGH. I’m sure I will be back one day.. hopefully! After eating some pretty heavy and fried foods, I wanted something light and refreshing. I passed by this cute little booth selling ice pops and shaved snow cones called People’s Pops. I couldn’t decide what I wanted but when I saw they had Roasted Peach & Rosemary ice pops I knew I had to get one. 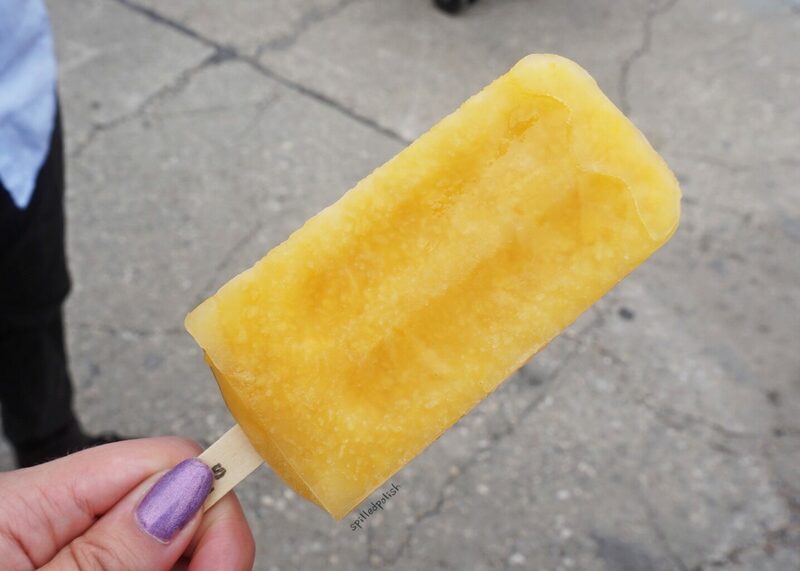 It was the best popsicle I have EVER had! It had actual pieces of peach inside it too. 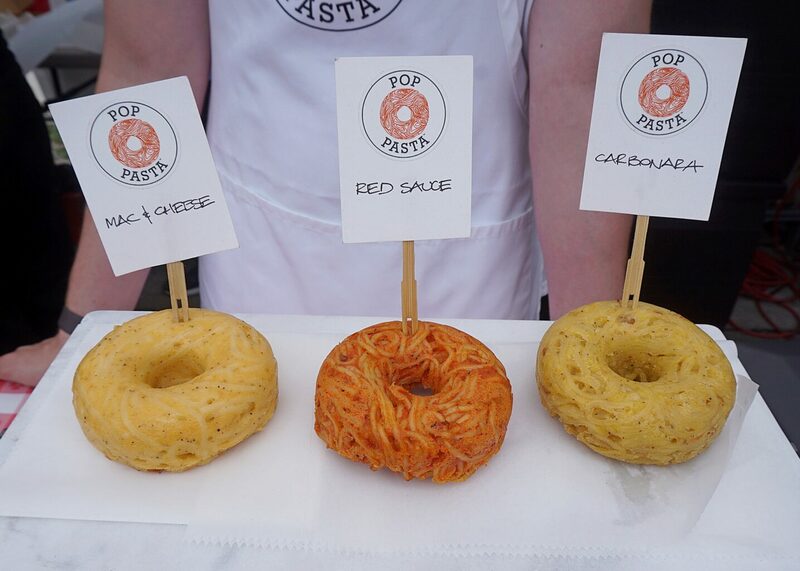 I would definitely buy them again, and was going to.. but I ate too much other food. So after I ate the ice cream & hung out by the water for an hour.. I was hungry again hahaha. 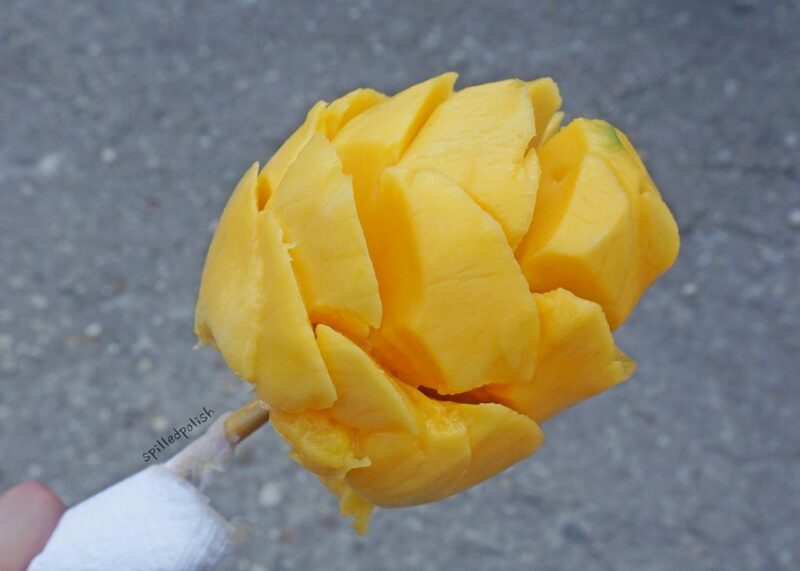 So instead of buying deep fried, I opted for a flower mango. They had it plain, or you could get it with spices and lime juice on it. I just wanted something refreshing and not spicy, so I got it plain. 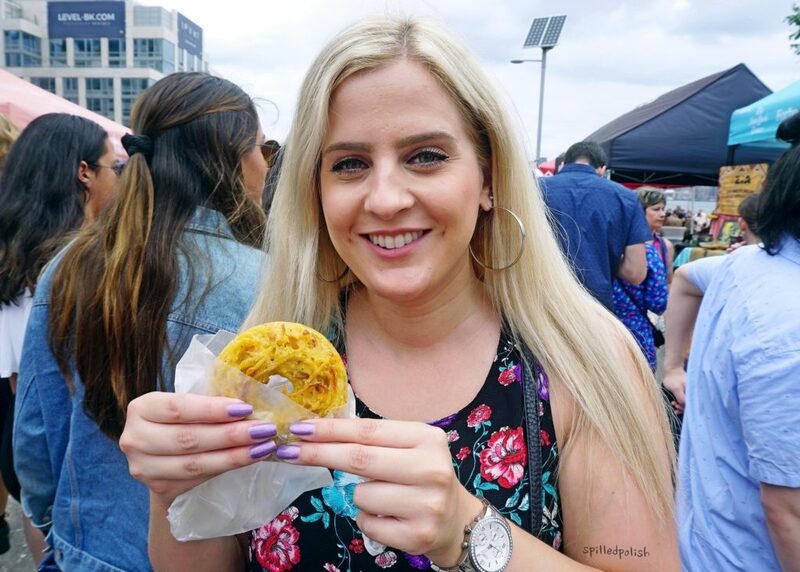 If you’re ever in Brooklyn, you should definitely check this food market out! I will 100% come back here if I ever come to Brooklyn again.